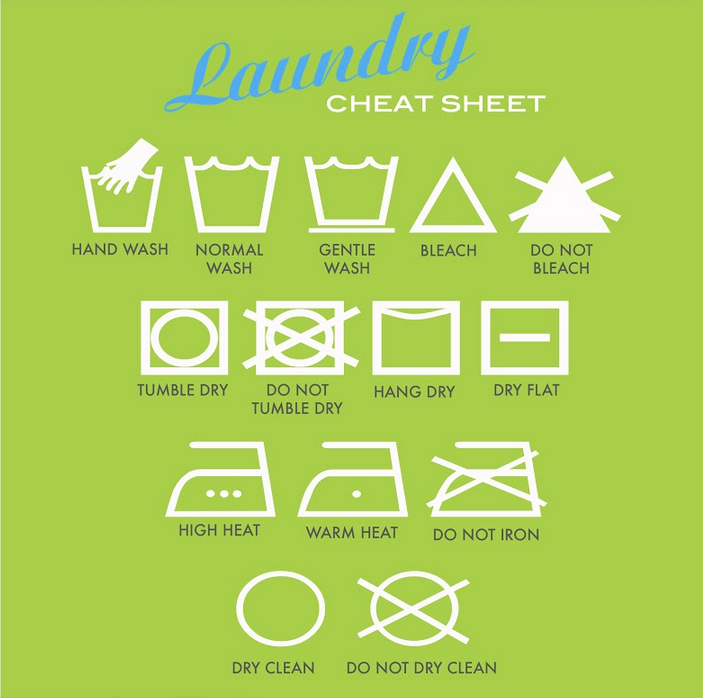 Ever wonder what those laundry symbols mean? Wait! Do you dry that sweater? Hand wash that shirt? Here is a quick cheat sheet to help you decipher that gibberish on your clothing labels.